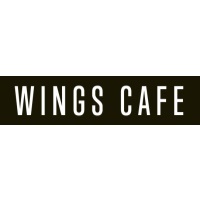 Wings Cafe is an artisan wings and fish restaurant that focuses on bringing hand-crafted unique flavors to Kansas City wing lovers. Locally owned and operated, Wings Cafe has been held as having some of the best wings in Kansas City, with unique flavors cycling through the ever-changing menu. With the special wing, fish & fry flavors, as well as desserts rotating on a monthly basis - there's always something new to try at Wings Cafe. WC offers a full assortment of wing flavors in both wet sauces and dry rub seasonings. There's also boneless, chicken strips, fish fillets and shrimp!